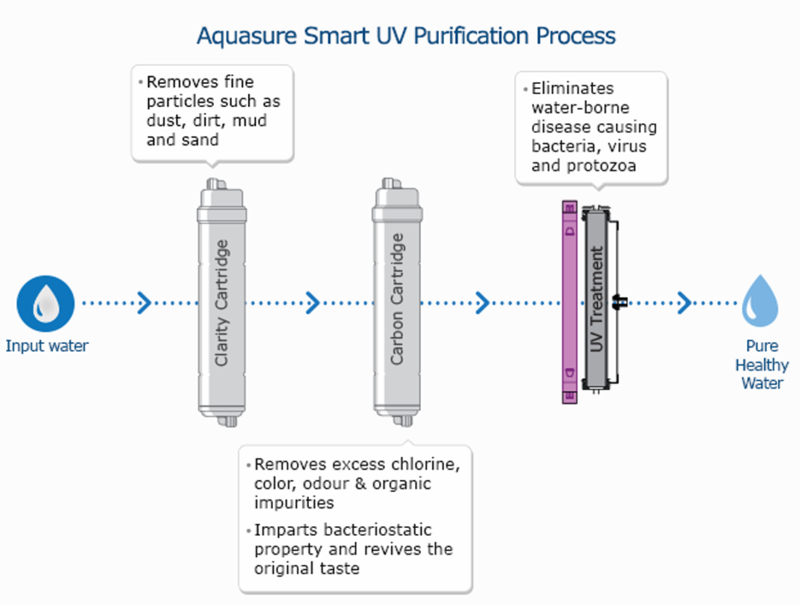 AquaSure Smart UV is a UV purifier best suited for water with a low TDS, not having a salty taste. 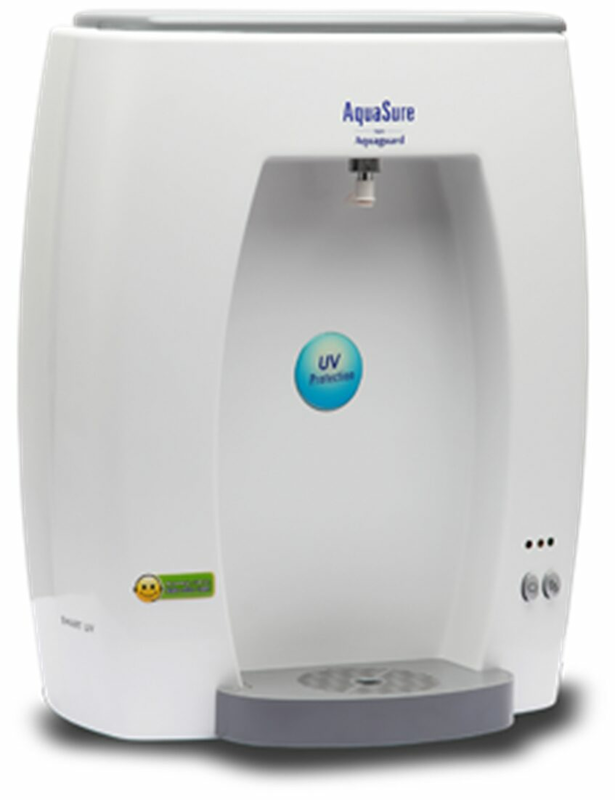 Its fail-safe electronic purification system gives you absolutely pure and safe water, always. Its inbuilt voltage stabilizer ensures that the purifier works across a large voltage range and delivers 2 liters of safe drinking water, per minute.